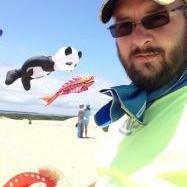 For any sport kite topic that doesn't fit into one of the listed forums, you have free reign here... Challenge the panel! We all started somewhere... If you have a question on to do a trick, someone here can probably fill in the blanks as there is a lot of collective experience you can draw on here. This is where all you Revolution and quad line nuts can exchange information and tips on the finest quad line kite designs known to man... Drop a line! 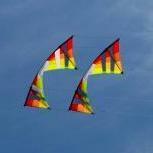 Discuss upcoming indoor events, kites, equipment, stories, flying tips and more... What, me need wind? Any questions or discussions about team or pairs flying on this forum can usually be found here, we are lucky to have several veteran team fliers here in the KL forum. All discussion pertaining to sport kite competition in the USA or internationally, rules, tips & techniques, organization, or anything else related. Got a special trick, technique or modification for your kite(s) or equipment? Share it with the other fliers here, and keep the evolution happening! Anything single line related that doesn't fit up above, put it here! Discussion for single line indoor kiting. Have a question about kite making, tuning, or any other topic related to single lines? Post it here! Want to know about taking aerial photographs or video, or want to share some experiences? Do it here! Discussion for fighter kite enthusiasts. Whether they're flat, dimensional or parafoil-based, this is the place to discuss any sort of power kite flying, tuning and repair techniques. Arguably the hottest thing on the global kiting market, kite surfing blends extreme sports with wind sports to make an exciting and media-rich past time. Quickly becoming one of the hot facets of power kiting, kite boarding is something else... Imagine a big skateboard with knobby wheels, and you've got it! Found a cool kite site on the web? Post it here, after review we may add it to the links page as well!